Social competence is commonly considered an important factor that impedes maladaptive development because individuals who lack adequate competence to direct or control their behaviors in social situations are likely to display problems. Despite the belief that social competence may be a multi-dimensional construct, existing research has not explored the unique contributions of its different aspects to development. The present two-wave longitudinal study examined relations of prosociality and sociability, two major aspects of social competence, with problem behaviors in a sample of adolescents. 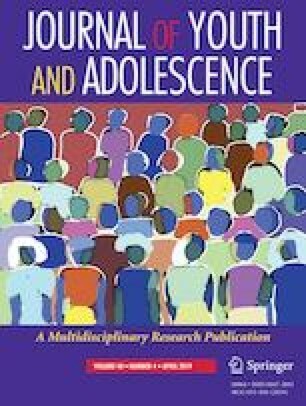 Peer assessment data on prosociality and sociability and self-report data on substance use and deviant behavior were obtained from a sample of adolescents in middle (N = 657, mean age = 13 years) and high (N = 675, mean age = 16 years) schools in China. The results showed that prosociality negatively predicted later problem behaviors, whereas sociability positively predicted later problem behaviors. In addition, gender and grade moderated the associations between sociability and problem behaviors. More specifically, the positive association between sociability and later substance use was significant for boys, but not for girls. Sociability was also more strongly associated with later substance use in middle school than in high school. The results indicate that prosociality and sociability may have different functional meanings in adolescent development and have implications for practical work with adolescents who display problem behaviors. L.C. and X.C. participated in all aspects of the study; S.Z. participated in data analysis and manuscript preparation; D.F. participated in the design of the study and manuscript preparation; S.J. and L.L. mainly participated in data collection. All authors read and approved the final manuscript. The study was supported by a grant from the Major Project of National Social Science Foundation of China (13&ZD073) to S. Jin. The preparation of the manuscript was supported by a grant from the Social Sciences and Humanities Research Council of Canada to X. Chen. Informed consent or assent was obtained from all individual participants included in the study at each study wave.